In our fast-moving and often detached society, even independent elderly people can sometimes become (socially, emotionally or otherwise) isolated and fall prey to either physical or financial abuse. Tragically, abuse is often at the hands of the very people who the elderly have counted on for care and protection – including family members, nursing home staff, trustees, and others in a position of trust. Injuries from elder abuse range from wrongful death due to physical abuse or neglect, the pain and discomfort from untreated medical conditions, the deprivation of necessary food, water, and medication, deprivation of family and friends, and theft of money and other property. The Law Office of Eduardo A. Brito is knowledgeable and successful in handling these cases. If you suspect that your loved one has been the victim of elder abuse, contact Los Angeles elder law lawyer, Eduardo A. Brito, for a free initial consultation. Your prompt action can help stop the abuse and, perhaps, save the life of your loved one. Financial abuse of the elderly is one of the fastest-growing forms of elder abuse. Financial abuse occurs when a person or entity takes or keeps an elder's property for wrongful use or with the intent to defraud the elder. In California, there are specific statutes which apply to elder abuse. Under California law, an “Elder” is defined as a person who has reached 65 years of age. Because they often are forced to rely on others for assistance, elderly people are particularly susceptible to being taken advantage of. When you combine their reliance needs with the vulnerabilities which are associated with unquestioning trust, physical illness, and/or the cognitive impairments associated with old age, the elderly can often become easy prey for manipulative predators who do not put the interests of the elderly first. Elder financial abuse is most often perpetrated by self-interested family members, caregivers, financial advisors, insurance salespeople, con artists and other unscrupulous persons. Financial abuse includes acts such as real estate fraud, insurance fraud, investment fraud, contractor fraud, and predatory lending, among others. If you or someone you know has been taken advantage of in this way, we can help. 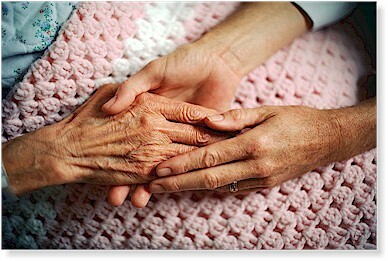 All of the elder abuse cases we take are on contingency, so there is no out of pocket expense for attorney’s fees. Please call or email us if you have any questions. If you or your elderly loved one has been the victim of physical or financial elder abuse, it is critical to act quickly to protect you or your elderly loved one from further physical or financial abuse. Contact the Law Office of Eduardo A. Brito for a free initial consultation. You can reach us by telephone at (626) 463-7076 or by e-mail. An evening appointment is available upon request, as is a home, nursing home or hospital visit if illness, injury or disability prevents you or your elderly loved one from traveling to our Pasadena office.